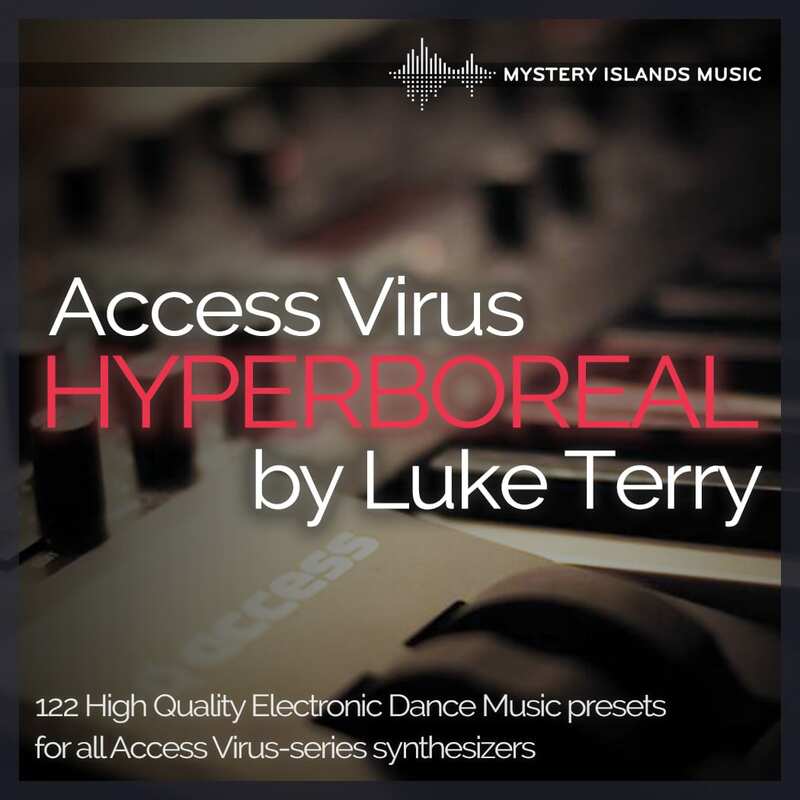 Luke Terry Hyperboreal for Access Virus synthesizers makes a touchdown! His iconic and new inspiring sounds will set a completely new standard to your productions and will boost it up instantly from patch 1! 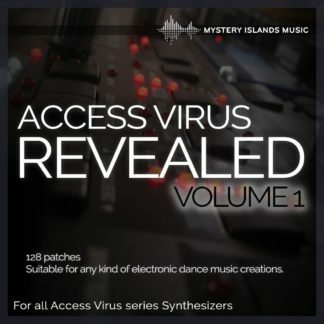 This is your official number #1 soundset in the studio when we are using Virus in our productions. 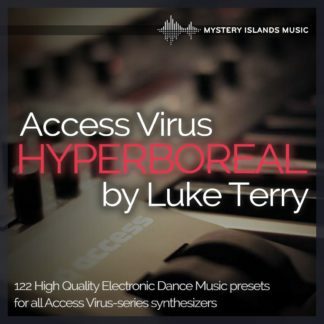 Luke Terry Hyperboreal contains 122 pristine presets, which sound just amazing! There are no fuzzing around patches, they all have a slot in your track if you want. This bank is compatible with all Virus models from Virus Hardware to Virus PowerCore and Virus TI. Firstly, let me please thank you for purchasing this soundset. This soundset comprises over 120 sounds from my own personal collection of sounds which I have made and used in my productions over the last 15 years or so. The sounds are specifically geared towards trance music. I have personally used these sounds in my own tracks. 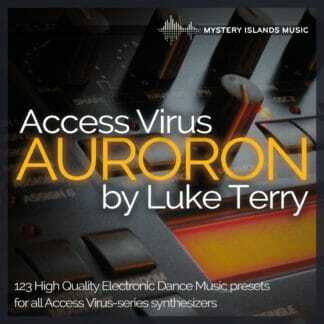 There isn’t many tracks I make without using the Access Virus for something. It is one of the most versatile synths going, which I’m sure you will already know! The sounds are designed to be used in tracks. They are not there to fill spaces in a half finished bank. They are plug and play and you could quite easily make a whole array of tracks with the sounds within this bank. The soundbank has been designed on the Access Virus KC model and should import perfectly into any C / TI range. There may be some loss of function on the older A / B / Classic synths. 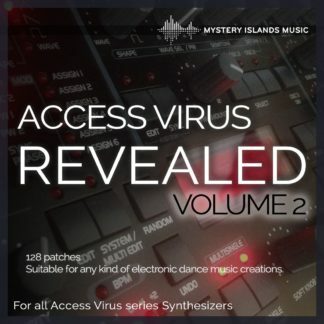 The soundbank has been brought to life on the Mystery Islands Virus|HC Access Virus VST Editor. 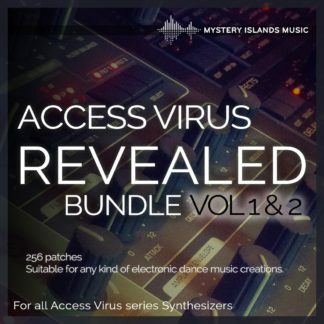 Simply import the .mid or .syx into the VST after hooking it up to your synth and enjoy!